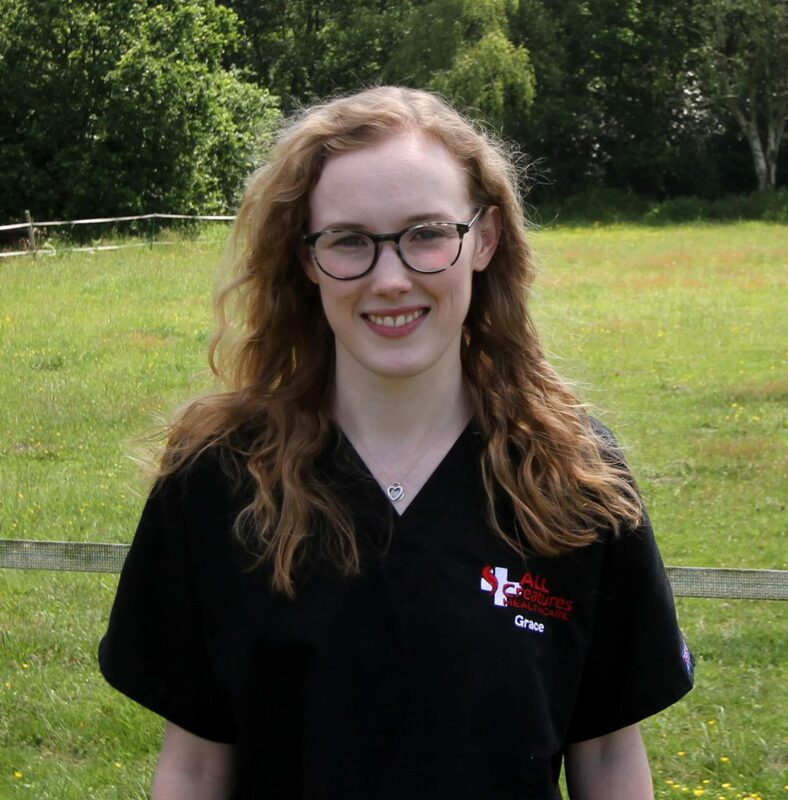 Grace has two years experience of being a veterinary receptionist. Grace’s special interests are in small furries, dog behaviour and wildlife rescue. Grace has a Syrian hamster named Moo and four rats, Kirk, Spock and Bones! Grace has a life long passion for animal welfare. In her spare time, she enjoys reading, knitting, crochet, drawing and stroking every cat that she passes on the street!